Versatile jacks can be used vertically (not upside down) or at any angle to no more than 5 degree from vertical position. Machined and polished cylinder walls ensure straight lifts preventing uneven wear. 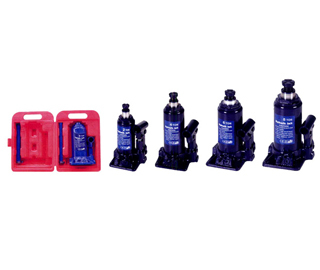 Heat treated adjustable extension screw with cleaned lift saddle prevents slippage. 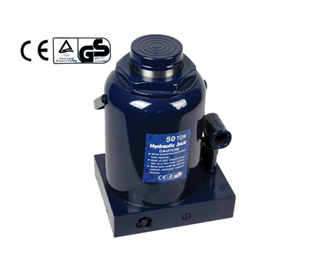 Patented bypass mechanism protects hydraulic cylinder from overpumped durable baked blue enamel finish.